Our beautiful facility features the Pat Anderson Center for Animal Adoption and Humane Education Center as well as Foothills Spay/Neuter Clinic. HSCC is a 501(c)3 non profit organization. All donations are tax deductible. The Western Piedmont Humane Society, formed in 1971, was run solely by volunteers for nearly three decades. Animals were housed in foster homes, and the volunteers adopted out the homeless animals without vaccinating, spaying or neutering them. Their only purpose was to place abandoned animals into new homes. At that time the organization served four counties. Over the years, the other three counties formed individual humane organizations to serve their own communities. In 1998 the Western Piedmont Humane Society changed to Humane Society of Catawba County so the name of the organization would most accurately represent the area served. In 2000, thanks to a grant and guidance from the Beaver Family Foundation, the reorganized Humane Society of Catawba County (HSCC) formed a board of directors and hired their first staff member. Over the next few years the board members and executive director worked to raise funds to build a no-kill animal shelter. 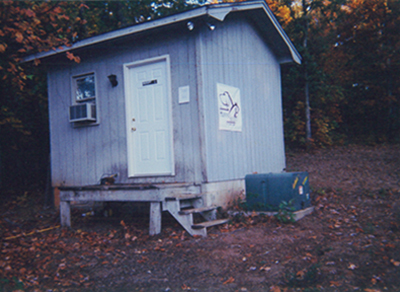 In the fall of 2001, the organization was able to lease a small piece of land and build a rudimentary shelter facility. The shelter consisted of a small outbuilding office, a Leonard storage building for the adoption center (housing 40 cats, kittens and puppies), and twenty-two outdoor runs. None of the buildings had central heat or air-conditioning. 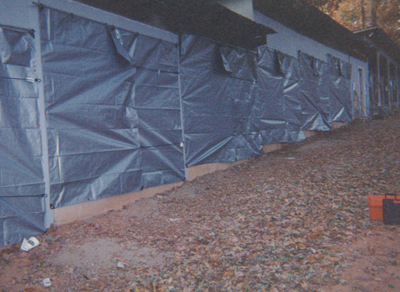 This temporary shelter operated in extremely sub par conditions, meeting only minimum standards established by the Department of Agriculture. Even with these limitations, HSCC was able to increase the number of animals adopted back into the community by 100 percent annually. In early 2004, it became apparent that if HSCC was going to continue to serve both the animal and human populations in this region, and be cost effective with its donor’s valuable support, then it needed to build a new permanent facility. HSCC has always recognized animal overpopulation as a national tragedy, the problem being no less intense in Catawba County. Starting in 2000, to sterilize the shelter animals, HSCC utilized Humane Alliance, a leader in aggressive low cost spay / neuter programs. Towns and cities that had implemented similar programs in their areas, found the number of companion animals who had to be euthanized declined by up to 60 percent. HSCC realized a spay / neuter clinic needed to be part of their new facility, benefiting both the shelter and local community animals. 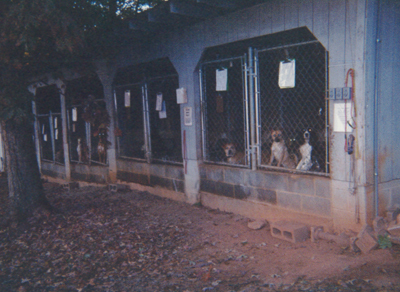 In December 2007, after a 3 million dollar capital campaign, Humane Society of Catawba County opened The Pat Anderson Center for Animal Adoption and Humane Education, a no-kill companion animal shelter, low cost spay/ neuter clinic and education center. The only nonprofit companion animal service organization in the county responding to animal care concerns in the community. In 5 years the growth of HSCC had been phenomenal. The state of the art facility had not only improved the ability to showcase more animals, the sophisticated HVAC system had improved air ventilation and reduced the incidents if airborne health risks. HSCC saw a 75 percent increase in the number of homeless animals adopted into their forever homes. The average stay for the shelter animals dramatically declined, resulting in an increased number of animals HSCC was able to rescue, therefore not subjected to euthanasia in the county animal control. Also at that point, over 25,000 animals from Catawba and surrounding counties had passed through the spay / neuter program at Foothills Clinic, preventing hundred of thousands of unwanted litters. In addition, the ability to serve the people in the community through volunteer and educational programs had significantly increased. In 2015, 2,041 animals came into our care including transfers and owner relinquishes. We maintained a 95% live release rate through adoptions and transports to our shelter partners. We have two locations for adoptions, Hickory and Newton!